Hello 2018! I have to say, after the hustle, bustle and general stressfulness that comes with the holidays or as the song says, “the most wonderful time of the year,” I was really looking forward to the calm and quiet of January. I don’t generally do new year’s resolutions, but I did make a promise to myself that I would be kinder in thought and reaction toward those around me. Unfortunately, Mother Nature has made keeping that promise a wee bit difficult. Much of the country has been dealing with weird weather the last few days and in Chicagoland, it has been no different. We’ve been in an extreme deep freeze since before Christmas, there was snow, wind and today, ice. With each day like this that passes, I’m finding it more and more difficult to keep my promise of kindness. And that’s what makes Dolly Parton’s latest album so timely. It’s hard to fathom that in a career that spans five decades, I Believe in You is Parton’s very first album for children, but it is. The 13 songs in this collection are all written by Parton and many are inspired by books like The Little Engine That Could, which are distributed through her Imagination Library program. In a time where bullies abound and people of all ages are speaking harshly and disrespectfully about one another, songs such as those found in this collection are definitely welcome. This album is filled with themes of friendship, acceptance, having confidence in yourself and others, and love. Included are songs such as “Responsibility” and “Makin’ Fun Ain’t Funny” that teach young children important life lessons as well as the upbeat “Chemo Hero” which tells what life is like having cancer from the point of view of the child. It is an empowering song that is important for not only children who have cancer to hear, but for their friends and family as well. Also included is a track of Parton reading her book, “Coat of Many Colors,” as well as a new recording of the song with the same name. True country music is not a genre often found in children’s music, which makes Dolly Parton’s album a welcome addition to library collections and family listening. In addition, all proceeds benefit Dolly’s Imagination Library, which over the past 22 years has sent over 98 million free books to over 1 million children in the United States, the United Kingdom, Canada, and Australia. 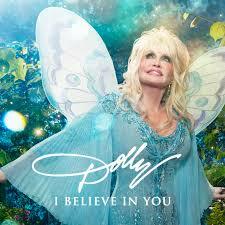 For more information, visit Dolly Parton’s Imagination Library. In the past few weeks, there has been much written about how to talk about tolerance, kindness, and acceptance with children. Most of what has been written has focused on using books to address these topics. I’d like to offer up the importance of using music as well. Looking back through the children’s albums that have been released this year, one of the welcome trends is the increased emphasis on not only accepting one another for each other’s differences but also being proud and confident in ourselves and those qualities that make each of us unique. The songs have ranged from silly to serious but all speak to children in a way that they can embrace and understand. 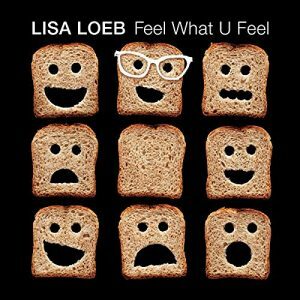 One of the most recent albums that focuses on kindness and acceptance is the newest release from Lisa Loeb, Feel What U Feel. Chock full of beautiful messages that are wrapped in gentle hugs or disguised in upbeat melodies and lyrics, this album is fantastic from beginning to end. The opening song, “Moon Star Pie (It’s Gonna Be All Right,” sets the tone and leads into “Say Hello” a lovely song about how the simple act of being brave and saying hello, or goodbye, or excuse me can be a great show of kindness. From there listeners fall into the groovin’ title track, “Feel What U Feel,” a duet between Loeb and Craig Robinson (from The Office) that lets children know that all those emotions inside them, both good and not so good, are ok. The catchy chorus, “Guess what? It’s okay!/go on and feel what u feel today/Feel what u feel/what u feel what u feel/what u feel what u feel,” will keep the message fresh in listeners minds. Robinson returns with another positive message regarding emotions on the classic tune, “It’s All Right to Cry,” which first appeared on Free to Be You and Me (1972). There are many other great songs on this album, all of which can be shared in a storytime, classroom, or family setting. With so much music to choose from, I’d love to hear from you. What are some of your favorite songs about kindness, acceptance, emotions, etc. to share with children?